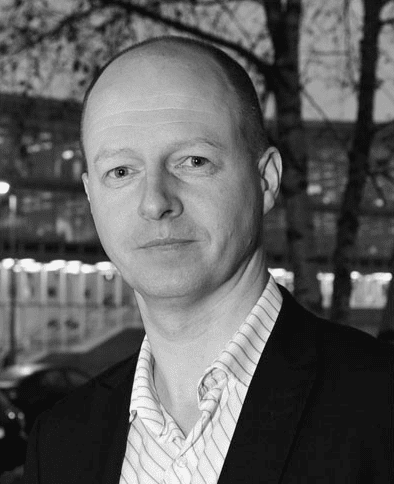 Our ideas come from the most complex and powerful computing entity on the planet – our brain! And like a computer, if you want to increase your processing power, you make a network of computers. So it is with the generation of ideas. 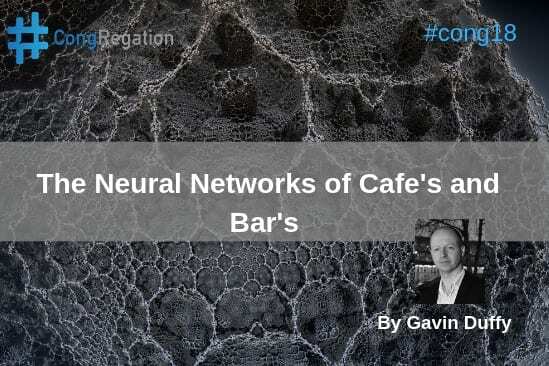 If you want more and better ideas, you bring people together to form an ideas generation neural network …. otherwise known as ‘Congregation’! Our ideas come from the most complex and powerful computational machine on the planet – our brain. It contains 100 billion neurons and 100,000 miles of blood vessels. Some believe the introduction of coffee to Europe in the 16th century sparked the Renaissance. The best way to generate ideas is to bring people together to form a neural network of idea generation machines! Small business owner and father of three children under 10. Congregation offers a reprieve from those busy full-time all consuming jobs. Its a spa treatment for the mind and an early Christmas present to myself. Looking forward to meeting similar escapees on Saturday! You can contact Gavin by email. Ideas and their successful implementation are the reason why we have climbed to the top of the biological food chain. In philosophy terms, the very fact that ideas exist has been cited as proof that we exist! If ideas are the natural outcome from ‘I think, therefore I am’, then we are not a construct of someone or something elses imagination! Setting aside the philosophical for now, what are the ideal conditions from which ideas are formed. Do they form in quiet contemplation, or in hard work in a lab. Can we form them in splendid isolation or do we need to tease them out by bouncing our thoughts off a friend or colleague? Our brains are regarded by many as the single most complex piece of biology on the planet. It contains over 100 billion neurons and 100,000 miles of blood vessels consuming 20% of all oxygen used by the body. It is more than the ultimate super computer, because so far, no AI has been capable of generating original thought! Yet, despite this, we are guilty of under using it, and indeed dulling it, by subjecting it to mind numbing things like reality TV. If we want to get all those neurons sparking and generating ideas for us, what is the best environment we can set ourselves to make this happen? When I thought about my own personal experiences on ideas generation, the first realisation I had was that my best ideas were nearly always in the presence of a liquid, be it the water cooler, coffee (or tea) or beer! The brain literally needs lubrication! It has been suggested that the arrival of coffee from south America and the start of the Renaissance shortly thereafter are not coincidences. Some people believe it was the first flush of caffiene in European veins which gave rise to the stimulation of new artistic and creative endeavour across Europe. Brains which for a very long time were dulled by the depressive effects of alcohol, (a dietary staple for many of the time), suddenly burst in to life. Today we carry forward this proud tradition and sit around a table drinking coffee and sharing our stimulating views. However upon further reflection, I realised that ideas are rarely formed in isolation. The seeds are generally sown when a conversation or debate we have with someone else triggers a thought. Our brains feed off other brains to form a neural network of idea generation machines. This is why I like Congregation so much. 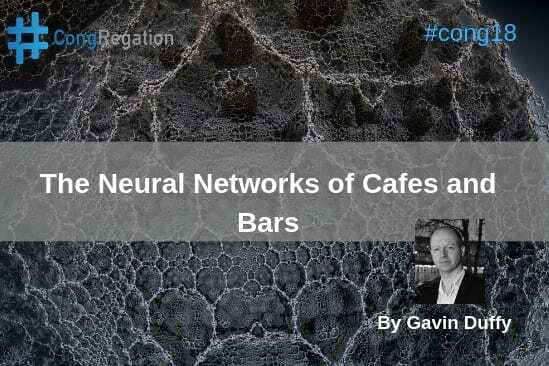 It’s a neural network of creative and interesting brains connected and lubricated by coffee and later wine or beer.